Great location friendly people improvements in-progress submitted by Kayla W. - Apr 08, 2018 |Recommended: YesSince the change in management renaming of our complex in 2017, Buckhead 960 has seen nothing but continuous improvementsfrom the grounds keeping and overall appearance of the property, to the very attentive and helpful staff on part of both the maintenance team and leasing office personnel . Resident involvement has flourished for various activities and events, which likely stems from the improvement in Management providing community members with more transparent, up-to-date communicationswhether it be a quick email or resident portal notification the latter being another luxury afforded to us since last year's changes . Looking forward, hopes remain high for this residential dwelling, as it continues to be one of the more affordable locations within the luxurious Buckhead area, given its ease-of-access, walk-ability and overall convenience to nearby shops, restaurants, and more. Love living heresubmitted by Ashley S. - Mar 03, 2018 |Recommended: YesI've been here over a year and the staff is what makes this place, among the other items such as its amazing location, modern interiors and resident activities. The staff is professional and fun. They care and show it. response from property - Mar 04, 2018 Thank you for your 5-star review! We really appreciate your feedback! 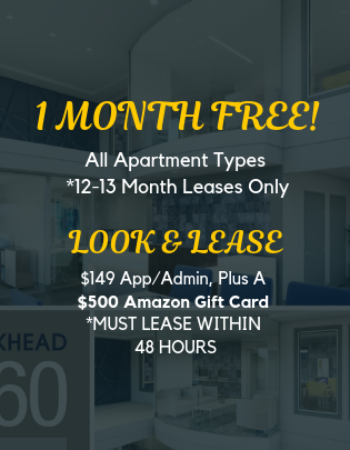 We are so glad you call Buckhead 960 home! I throughly enjoy living at Buckhead 960submitted by Michael K. - Mar 01, 2018 |Recommended: YesVery pleasant, good location, and very friendly staff. It's in a great location.submitted by Erin R. - Feb 28, 2018 |Recommended: YesI would tell them to meet Tina Burch. She is very helpful, very knowledgeable, and she gets things done. I love living here, great location, quiet neighbors and lots of amenitiessubmitted by Sheronna H. - Dec 29, 2017 |Recommended: YesYou can park out of the rain, walk around a great reflecting pool and the leasing office staff is responsive. Wonderful homesubmitted by Malorie - Dec 21, 2017 |Recommended: YesI could not have asked for a better apartment in Buckhead. It's a solid concrete building, so you never hear noise from people upstairs. Great location, within walking distance to Publix, LA Fitness, and the Marta station. The complex is clean, always smells refreshing, the grounds are well kept, and the pool is large with lots of seating. The best part of living here was having such great staff with whom to work. They get to know each resident, take care of your packages, fill maintenance requests quickly, and treat everyone with kindness. Great Place submitted by Courtney - Oct 11, 2017 |Recommended: YesI always say that if there's nothing to complain about, then everything is great Beautiful and spacious apartments, quiet, well-maintained buildings the hallways always make me feel like I'm in a nice hotel , helpful staff, friendly neighbors, reasonable prices, two blocks from Target, Publix, and LA Fitness. Next door to Marta. Right in the heart of everything but -just- in the right spot to dodge the worst of the Buckhead traffic. Can't beat some of the views. Beautiful park behind the complex. Affordable nice apt in great locationsubmitted by Ashley P. - Jul 31, 2017 |Recommended: Yesconvenient location, nice large apts at a reasonable price.